River Science: What is it? River Science: Why do we Care? If your business is located near a river, even a small one, be prepared for a catastrophic event such as a flood or river bank erosion that could affect your buildings and parking lots. River-smart businesses understand basic river science—how rivers work and respond to weather and human-made changes. They know what to do and what not to do in and near the river. They take precautions to avoid putting themselves at risk during a flood, and are ready in case of an unavoidable disaster. On this page we have gathered a few useful links to help businesses become river-smart, and know what do to before, during, and after a flood. First, understand how rivers work. River Science: What is it? Note that we are currently updating all of our fact sheets, check again soon! Know your flood risk. Floodsmart.gov explains about high risk areas and how to understand flood maps. Learn what to do if a flood is predicted. Your local community is responsible for making and announcing flood evacuation decisions. Find out now if there is an emergency management plan or evacuation plan in your community. Prepare your business in the event of a flood: Flood preparedness checklist for business owners is a list prepared by FEMA (Federal Emergency Management Agency) of what to check, such as insurance coverages, and what to prepare, such as emergency communication plans as well as what to store where. 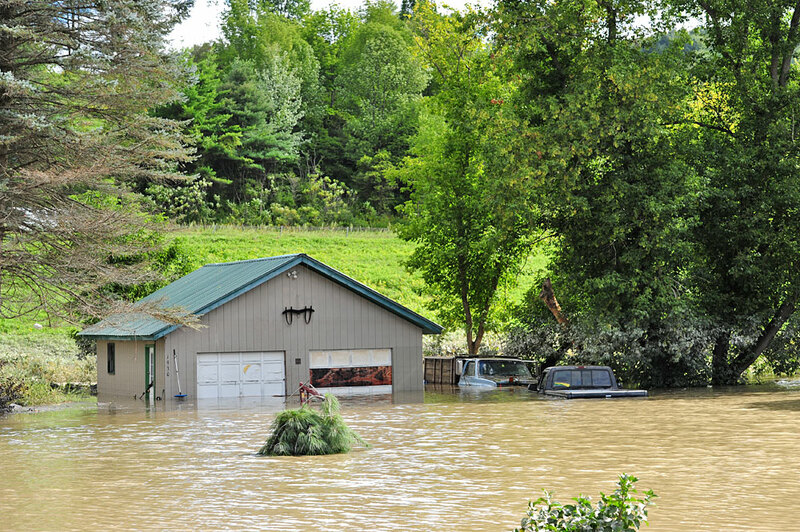 Flood-proof your building to avoid or reduce flood damage: Wet and Dry Floodproofing for Business Information sheet from Vermont's Agency of Commerce & Community Development to help businesses weather the next storm. If you have purchased flood insurance, file a claim to recover more quickly. Provides funds to eligible small businesses to meet their ordinary and necessary operating expenses that they were unable to meet due to an essential employee being "called-up" to active duty in their role as a military reservist. SBA provides low interest disaster loans to homeowners, renters, businesses of all sizes and private, nonprofit organizations to repair or replace real estate, personal property, machinery & equipment, inventory and business assets that have been damaged or destroyed in a declared disaster.